What Happens To The Children After The Parent With Primary Parental Responsibility Dies? Some parents seek primary responsibility over their children and urge the court to give the other parent only supervised visits because they want to protect their children. If a parent has a substance abuse problem, is abusive, or is otherwise unfit to parent the children, it can make the responsible parent anxious or afraid to think of what would happen to the children if the responsible parent died or was incapacitated. 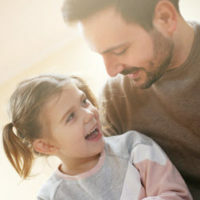 When the parents of a child are in a relationship, they can jointly decide to name a guardian who will care for their children when the parents pass away or are incapacitated. Courts can honor the parents’ selection of a guardian only if the court does not find the guardian unfit and the guardianship is not challenged by another person. However, a parent cannot use a guardian designation in a will to try and keep the other parent away from a child. Once a parent who has been awarded primary responsibility for a child dies, the other parent can petition the court for full legal and physical responsibility of the child. Even if the deceased parent left a will that names a guardian, a court would likely recognize the living parent’s rights over those of a non-parent. If there are any concerns over the suitability of the parent, for example, if the parent is physically, emotionally, or mentally abusive towards the children, the court can consider this during the hearing to transfer the responsibility of the children to determine if the children should be cared for by another person. If these allegations have not been raised in the past, the court is not likely to inquire into those issues on its own. While grandparents who are named as potential guardians may lose out on taking on this role, they do not have to lose all contact with the children of the deceased parent. Under Florida law grandparents can petition the court for visitation with their grandchildren. Grandparents can only petition for visitation if both parents are dead, or if one of the children’s parents has died and the other parent has a convicted of a felony or an offense of violence that reflects that the parent’s behavior poses a substantial threat of harm to the minor child’s health or welfare. If the grandparents can receive visitation rights they can keep an eye on the children and seek intervention if the children are abused or neglected in any way. It may not be the most ideal way to protect the children from a potentially harmful parent, but it is a helpful approach. Figuring out the best way to protect your children in a divorce or legal battle over parental responsibility and time sharing can be difficult. In order to make sure that you are handling everything in a legal manner, and documenting incidents so as to help protect your children, you should discuss all your concerns with an experienced and compassionate family law attorney. For more information, contact our experienced child custody lawyers at the Law Offices of Schwartz | White in Boca Raton, Florida.